Browse all Boston real estate listings in the North End below and contact Boston’s luxury Properties if you would like to learn more or schedule a tour. Register to save your favorite listings and receive notification when a new property matches your search criteria. BROKER FEE PAID BY LANDLORD | READY FOR JULY 2019 -- Welcome to the ultimate residential experience. This luxurious apartment offers floor to ceilings windows with hardwood flooring throughout. The stylish kitchen features quartz countertops, GE stainless steel appliances, and a sleek glass backsplash. Enjoy laundry in unit plus a modern bathroom. World class amenities include the rooftop social lounge with panoramic city views boasting a heated swimming pool, cabanas and movie theater. Work out in the sprawling fitness center with yoga and spin studio -- or let your inner-chef embrace the grills in the courtyard! This pet-friendly community has your paws covered with a self-service pet spa, and outdoor dog run! Moments to Financial District, Boston Common and MGH with 24 hour concierge. BROKER FEE PAID BY LANDLORD | NORTH END VIEWS -- Welcome to the ultimate residential experience. This luxurious apartment offers floor to ceilings windows with hardwood flooring throughout. The stylish kitchen features quartz countertops, GE stainless steel appliances, and a sleek glass backsplash. Enjoy laundry in unit plus a modern bathroom with glass walk-in shower. World class amenities include the rooftop social lounge with panoramic city views boasting a heated swimming pool, cabanas and movie theater. Work out in the sprawling fitness center with yoga and spin studio -- or let your inner-chef embrace the grills in the courtyard! This pet-friendly community has your paws covered with a self-service pet spa, and outdoor dog run! Moments to Financial District, Boston Common and MGH with 24 hour concierge. BROKER FEE PAID BY LANDLORD | SPECTACULAR ROOF DECK -- Welcome to the ultimate residential experience. This luxurious apartment offers floor to ceilings windows with hardwood flooring throughout. The stylish kitchen features quartz countertops, GE stainless steel appliances, and a sleek glass backsplash. Enjoy laundry in unit plus a modern bathroom with glass walk-in shower. World class amenities include the rooftop social lounge with panoramic city views boasting a heated swimming pool, cabanas and movie theater. Work out in the sprawling fitness center with yoga and spin studio -- or let your inner-chef embrace the grills in the courtyard! This pet-friendly community has your paws covered with a self-service pet spa, and outdoor dog run! Moments to Financial District, Boston Common and MGH with 24 hour concierge. Beautiful, large North End 2BR, 2BA, excellent location. High ceilings, built-ins, working gas fireplace, central air conditioning, master bedroom with en-suite bathroom, large kitchen with stainless steel appliances, washer/dryer in unit. Kitchen with dishwasher, disposal, refrigerator and gas range. Hardwood and tile floors. Large roof deck with panoramic city views. Sorry, no pets, no exceptions. BROKER FEE PAID BY LANDLORD | NORTH STATION LUXURY -- Welcome to the ultimate residential experience. This luxurious apartment offers floor to ceilings windows with hardwood flooring throughout. The stylish kitchen features quartz countertops, GE stainless steel appliances, and a sleek glass backsplash. Enjoy laundry in unit plus a modern bathroom with glass walk-in shower. World class amenities include the rooftop social lounge with panoramic city views boasting a heated swimming pool, cabanas and movie theater. Work out in the sprawling fitness center with yoga and spin studio -- or let your inner-chef embrace the grills in the courtyard! This pet-friendly community has your paws covered with a self-service pet spa, and outdoor dog run! Moments to Financial District, Boston Common and MGH with 24 hour concierge. BROKER FEE PAID BY LANDLORD | MOMENTS TO RESTAURANTS -- Welcome to the ultimate residential experience. This luxurious apartment offers floor to ceilings windows with hardwood flooring throughout. The stylish kitchen features quartz countertops, GE stainless steel appliances, and a sleek glass backsplash. 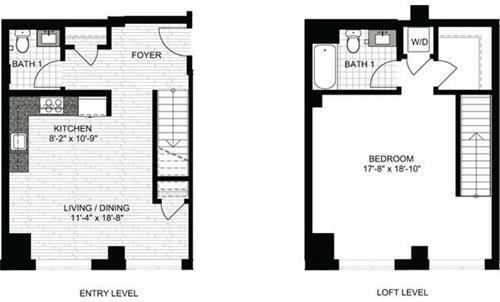 Enjoy laundry in unit plus a modern bathrooms with a glass walk-in shower. World class amenities include the rooftop social lounge with panoramic city views boasting a heated swimming pool, cabanas and movie theater. Work out in the sprawling fitness center with yoga and spin studio -- or let your inner-chef embrace the grills in the courtyard! This pet-friendly community has your paws covered with a self-service pet spa, and outdoor dog run! Moments to Financial District, Boston Common and MGH with 24 hour concierge. BROKER FEE PAID BY LANDLORD | MOMENTS TO FINANCIAL DISTRICT -- Welcome to the ultimate residential experience. This luxurious apartment offers floor to ceilings windows with hardwood flooring throughout. The stylish kitchen features quartz countertops, GE stainless steel appliances, and a sleek glass backsplash. Enjoy laundry in unit plus a modern bathroom with glass walk-in shower. World class amenities include the rooftop social lounge with panoramic city views boasting a heated swimming pool, cabanas and movie theater. Work out in the sprawling fitness center with yoga and spin studio -- or let your inner-chef embrace the grills in the courtyard! This pet-friendly community has your paws covered with a self-service pet spa, and outdoor dog run! Moments to Financial District, Boston Common and MGH with 24 hour concierge. BROKER FEE PAID BY LANDLORD | PET FRIENDLY LIVING -- Welcome to the ultimate residential experience. This luxurious apartment offers floor to ceilings windows with hardwood flooring throughout. The stylish kitchen features quartz countertops, GE stainless steel appliances, and a sleek glass backsplash. Enjoy laundry in unit plus a modern bathroom with glass walk-in shower. World class amenities include the rooftop social lounge with panoramic city views boasting a heated swimming pool, cabanas and movie theater. Work out in the sprawling fitness center with yoga and spin studio -- or let your inner-chef embrace the grills in the courtyard! This pet-friendly community has your paws covered with a self-service pet spa, and outdoor dog run! Moments to Financial District, Boston Common and MGH with 24 hour concierge. BROKER FEE PAID BY LANDLORD | ROOFTOP POOL -- Welcome to the ultimate residential experience. This luxurious apartment offers floor to ceilings windows with hardwood flooring throughout. The stylish kitchen features quartz countertops, GE stainless steel appliances, and a sleek glass backsplash. Enjoy laundry in unit plus a modern bathroom with glass walk-in shower. World class amenities include the rooftop social lounge with panoramic city views boasting a heated swimming pool, cabanas and movie theater. Work out in the sprawling fitness center with yoga and spin studio -- or let your inner-chef embrace the grills in the courtyard! This pet-friendly community has your paws covered with a self-service pet spa, and outdoor dog run! Moments to Financial District, Boston Common and MGH with 24 hour concierge. Welcome to Boston's Historic North End! 136 Prince Street Unit 9 has two bedrooms and one full bath with a generous living room with plenty of space for dining as well as in unit laundry! The kitchen has Granite Counter Tops and Stainless Steel appliances. Enjoy tall ceilings and hardwood floors though out! The floor plan is ideal with the two bedrooms on opposite sides of the living room area allowing privacy. This unit is perfectly situated right across from the DeFilippo Playground. Come and enjoy ALL that the North End has to offer from delicious , Authentic Italian Food, Culture and History Galore! Come take a tour of 136 Prince St, Unit 9. Commercial space available on busy North End street with lots of foot traffic. Just steps from the Old North Church and Freedom Trail. Perfect for office or retail shop. Tenant to pay utilities. OFFICE SPACE for lease on a busy corner, situated in the heart of Boston' s North End. This premier location is only steps away from The Greenway and it offers convenient access to the Expressway, Route 93, the Mass Pike and public transportation. Amenities: Duplex ,Exposed brick, hardwood floors, kitchenette, gas fireplace, sunny windows, 4 rooms and a private bathroom. Tenant pays utilities. SHORT OR LONG TERM FURNISHED RENTAL - Situated on the highly desired Fulton Street, this beautiful fully furnished unit is available beginning June 1st. 99 Fulton Street is an elevator building with Apartment 6-3 situated on the top level. Boasting excellent sun, the unit will remain furnished as seen in photos offering a spacious layout, ample closet space and stainless steel appliances throughout. Amenities included: heat, hot water, electricity, internet and common coin laundry facilities. Located within walking distance to all major public transit, this apartment serves as a fantastic opportunity for someone looking to spend a short or extended period of time in an apartment that is move-in ready. **** BEAUTIFUL RENOVATION **** North End Two Bedroom/ One Bathroom. 1000 Square Feet of living space with IDEAL LAYOUT, and PRIVATE STORAGE CLOSET IN UNIT (Plenty of room for Hockey bags,golf clubs, luggage etc....) Two Generous Bedrooms with an abundance of closet space. Modern Kitchen with new full sized stainless steel appliances & brand new granite. Modern Bathroom with Full tub. HUGE LIVING ROOM looking onto Charter Street Park. TWO LARGE BEDROOMS, GREAT FOR ROOM MATES... Unit offers Tile floors throughout, Exposed Brick & Stone, CENTRAL AC & Laundry. 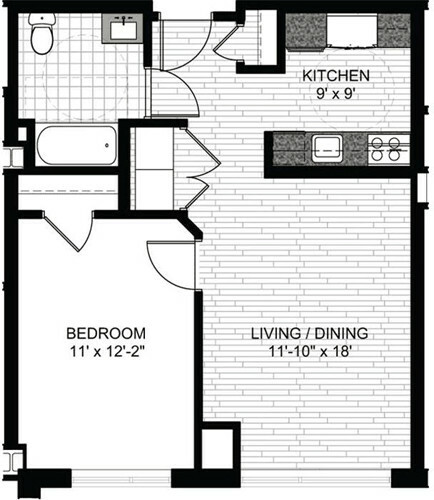 900 sq ft! One bedroom DUPLEX, extra large bedroom plus office area. Spectacular unit in the heart of the North End has a nice size living room with exposed brick, hard wood floors and high ceilings. Steps away from Italian eateries, MBTA and coffee shops. The renovated kitchen has stainless steel appliances, granite counters, and washer/ dryer in unit. One full and one half baths, both in very good condition. Move-in ready. This unit is a must see. Please call for a showing. South facing, oversized one bedroom in desirable North End building. This home features an open living room with high ceilings, exposed brick, original wide pine hardwood floors and designer ceiling fan. A recently renovated kitchen has glass faced mahogany cabinets and granite counters. Generous bedroom with hardwood floors, beautifully finished bathroom, generous closets, small private outdoor space and in-unit laundry complete this home. The building offers a spectacular common roof deck with outstanding city skyline and Boston harbor views, elevator, and off-site professional management. Tenant to pay all utilities in the unit. Sorry, no pets, no smoking and no students. Available for June 1st occupancy. Incoming tenant to pay first month's rent, a one month security deposit and a one month realty fee. .........NORTH END 1 BED LOFT DUPLEX.........OUTDOOR SPACE.........HEAT, HOT WATER & CENTRAL AIR INCLUDED IN RENT..........Upper Level: Spacious bedroom with Hardwood floors, exposed brick. Large NEWLY RENOVATED BATHROOM with Granite Counters, Plenty of Storage & Full Tub. As you walk down to the lower level you will have a wall of windows on your right overlooking the shared patio.... Lower level: Open living space, Eat in Kitchen, and access to PATIO. Professionally Managed building offers Elevator & Laundry. VERY LOW UTILITIES!!! Welcome to your new home. This is a sunny, top floor apartment located in an ELEVATOR building in the historic North End just steps from the Boston Harbor. The owners have recently updated the kitchen and bathroom with great attention to detail. You may access your private storage locker and the common laundry conveniently via elevator. This warm and inviting home offers hardwood floors throughout and a full wall of windows. The North End boasts many restaurants, coffee shops, access to the green line, orange line, and blue line. The neighborhood also offers a variety of fitness and recreational facilities including yoga, cycling, boxing, sailing, tennis courts, bocce courts, pool (seasonal), ice rink (seasonal), basketball courts, and baseball fields. Photos from previous occupants. Listed by Valerie Filiberto, Justin Grammer and Kevin Hunt of A & S Realty Co., Inc.